Wednesday nights at 6:30pm join us for TeamKIDs! Children interested in TeamKID can be dropped off in the children's area where they will be divided by grade level. They will have 30 minutes of warm-up, bible study, and stretching. Then they will rotate for a second 30 minutes of missions and exciting games concluded with prayer. It is a great hour of discipleship and fun! Sunday mornings at 11:00 am join us for Reelkids! 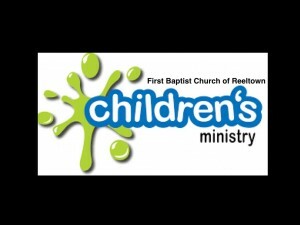 Children will enter the main sanctuary with their families and then once the music portion of the service is complete they will be dismissed to walk to ReelKids with Tracey Rush. She will expose them to a worship experience that is custom tailored their needs and age appropriate. We welcome children from pre-k 4 through the 4th grade and you may pick-up your child(ren) from the Reelkids room following the service. Bible Studies For Life: Kids Worship Hour provides a media-driven, interactive worship experience for kids. Includes worship songs, music videos, Scripture memory verses, weekly missions emphasis, drama scripts, and more! Children will interact in the games, share in conversation and even have an opportunity to be in the skits. We look forward to seeing you there!!! Sunday mornings at 9:45 am join us for Sunday School! These classes are divided by grade level : Minnows prek4-K, Guppies 1-2, Bream 3-4, and Bass 5-8. The doors are labeled and all the rooms can be found in the children's area. They will also reach biblical milestones through the Levels of Biblical Learning, a proven framework for growth in God's Word from birth through sixth grade. It is a wonderful small group opportunity for children to participate in, don't miss out!!! Sunday Evening at 6:00 pm join us for family service! Children are encouraged to join their families to worship together in the sanctuary. 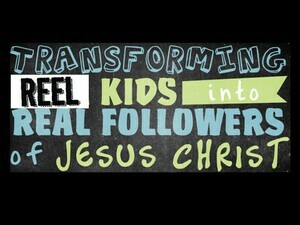 This is an opportunity for them to learn the happening of "big church" and worship along side the adults that love them.